Come live the high life in New York City. 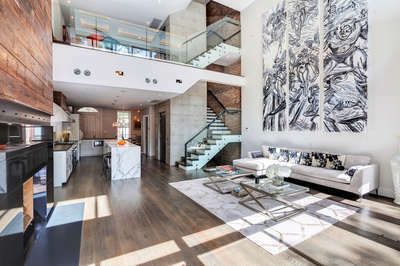 This seven floor townhouse was designed with luxury in mind. There are two outdoor terraces for you to enjoy each with its own barbecue. Not a fan of cooking yourself? A Chef can be hired should the need arise, although our concierge team can inquire about getting you reservations and one of many fine dining experiences around this city. Five bedrooms await up to ten guests. Multiple media rooms mean there should be no fighting over the remote. Or perhaps everyone can curl up next to the fire and share their stories from the adventures around the city that day. Come and enjoy this luxury home on your next visit to New York City.